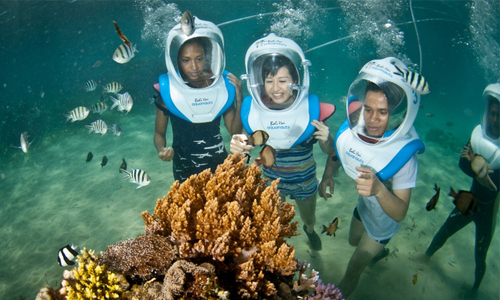 People usually travel through the sea when they come to have a travelling in Gili Lombok. So, they have to take a boat as their transportation. 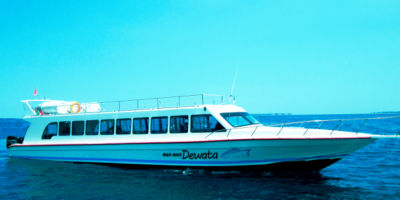 In order to set this specific transportation easy for tourists, there are some services which are ready to transfer the tourist by a fast boat from Bali to Gili Island. These kinds of boats are designed to transport about either 30 or 100 passengers, and each passenger are permitted to carry 25 kilograms or less of luggage only. Taking a boat from Bali into Gili Island is preferred by most people, because the distance between two locations is not so far. It is recommended by locals that you should book a hotel room on Gili Island before taking the trip. It is not possible to travel back between both locations in one single day. The number of people who take a fast boat to Gili Island has been growing nowadays, which has resulted in the overall improvement of facilities and supporting services in the area being conducted. It is necessary for you who want to stay on Gili Island fo longer than a day and you are planning to trip in these wonderful and breathtaking islands. In addition, many of the fast boat service providers have decision to offer some package deals and special travel prices for those who want to travel to Gili Island. These special prices and deals are vary, depends on the particular time of year. Furthermore, the total cost of these services is based on two different things: the actual destination on Gili Island and the age of the passenger who takes this trip. 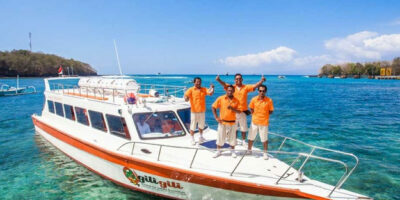 A large number of the tourist look for a travelling by fast boat to Gili Island from Bali nowadays. They praise that the services they usually receive on the island is much better than the services they receive in other various hotels and next the facilities. 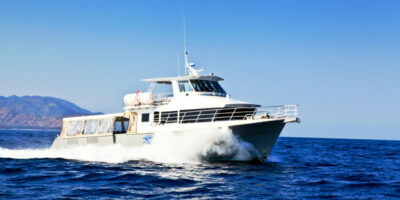 So, fast boat service providers try to provide the best service to all customers possibly better. Please just sit back, relax, and enjoy the surrounding in one of the world's most beautiful destinations ever. To save your time, we are supported by online booking system with instant confirmation. 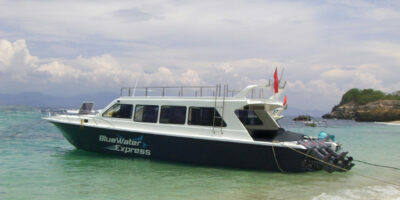 Bluewater Express is the first boat brand that operated between Bali, Gili Trawangan and Lombok. Fast boat depart from Serangan harbor to Gili Trawangan and Lombok. Semaya One Cruise is a company who is constantly progressing and always has the thoughts and safety of the passengers and crew in mind. 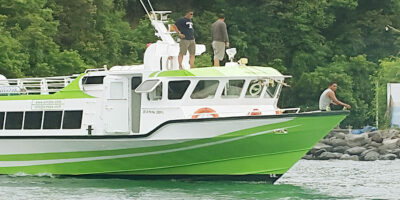 Gili Cat offers fast, cheap and reliable boat transfer from Bali to Lombok and Gili Island. The service is cover free pick up and drop service in Bali, such as; Kuta, Legian, Seminyak, Kuta, Sanur and Ubud center area. Gili Gili Fast Boat was established in 2009 to handle daily boat transfers from Bali to Lombok & the Gili Islands (Gili Trawangan and Gili Air).